1. They have advantages of better intake and exhaust system, low fuel consumption and low displacement with improved fuel delivery and intake and exhaust system by adopting new model high pressure injection pumps and P type injection. 2. They feature more smooth transmission, lower noise and better reliability with improved design of cylinder block, helical gears and new structure of gear casing. 3. Most spare parts of SH series are compatible with that of “SIFANG” brand “S” series diesel engines, except some key parts. 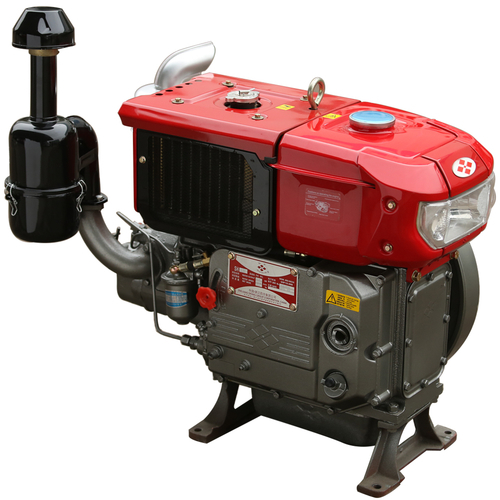 They can be used as a power of walking tractors, farm transport vehicles, generating sets, water pumping sets, etc.